Now celebrating 17 years in business, MP USA has helped lead the way in bringing cutting edge practices of Merpati Putih to North America, through their Vibravision application . Using this patented system, they have helped train people who lack the ability to see how to better react to their surroundings, to the point where they can best talented sighted people. Using this unique art, the team has worked with world-class practitioners from around the globe, with endorsements from medical professionals and optometrists, researchers, senators and more. It was our pleasure to speak to Nate Zeleznick, President of MP USA – a long-time PerfectMind client since 2002 – about his history in martial arts, the focus of his company, and how they’ve used PerfectMind/ChampionsWay to grow and support their practice. CW: When did you first get involved in martial arts? At what point did you know that was your chosen career path? NZ: I first got involved in the martial arts at the age of 17 and Mike got involved at age 14. 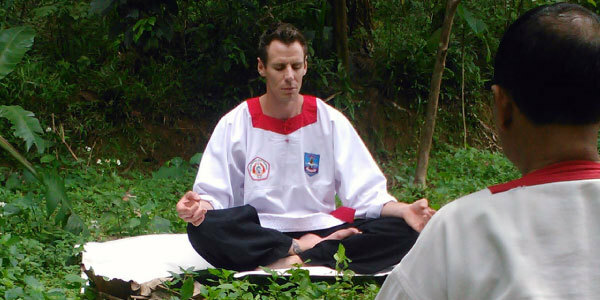 While school eventually took me away from training full time, Mike focused all of his energy and efforts on becoming the best martial artist he could be, eventually earning two 3rd-degree black belts and a 2nd-degree black belt in different styles before we found the Merpati Putih system in 1998. We knew in September of 2000 that the Merpati Putih system was our path. On January 3rd, 2018 we celebrated our 17-year anniversary in business. It has been a veritable rollercoaster of adversities and triumphs, but as the saying goes, "fall down seven times, get up eight". CW: What drives your school and keeps students coming back? NZ: MP is quite unique in that we specialize in Energy Development and Application. 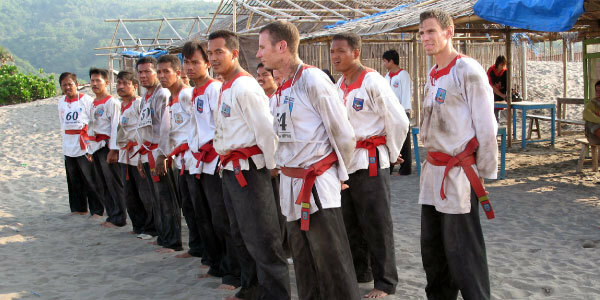 Using the proprietary and very specific training regimen developed over centuries by the Royal Family of the Mataram Kingdom in Central Java, students actually have many "drives" to return over and over. We have a youth program for self-defense, an athletic program for adults, a program for meditation and healing, a program for women to protect themselves against sexual assault, and one for those with visual disabilities. In a nutshell, what drives our school and keeps people coming back is that we offer programs and results that no other system we've ever encountered does. CW: If you had to choose one life lesson that you instill in students, what would it be? NZ: That your "highest potential" truly is unlimited and, through hard work, discipline and the proper training method, you may be able to achieve – and be aware of – more than you'd ever thought possible. CW: Where do you see MP USA in 5 years time? NZ: We are currently developing a turn-key franchise operation system so, in 5 years, we hope to have at least 3 satellite Merpati Putih martial arts training facilities and at least 10 Vibravision training centers under another of our companies – The Vibravision Foundation – in order to bring Vibravision awareness and training to the blind and sighted communities. CW: What is Vibravision and how is MP USA involved? NZ: Vibravision is a specific application from the Merpati Putih system developed by the late 11-th Generation Heir named Budi Santoso Hadipoernomo, also known as "Mas Budi" that trains the mind to perceive one's surroundings without the use of physical eyesight. Since his passing, the helm of Vibravision has now been taken over by his son, Nehemia Budi Setyawan, known as "Mas Hemi," whom we work with very closely. One way to explain Vibravision is "hacking the brain to create a visual mental image, using input from the non-visual senses." Some of the skills Vibravision practitioners learn are: how to identify the color, shape, texture, location and proximity of any object(s) and sensing objects in one's way and effectively avoiding them. Some of our demonstrators can even read text, ride bikes through obstacle courses, play video games, or drive go-karts. CW: Which PerfectMind features have you used the most? What has become the most important for your classes? NZ: We use the student database, billing, email, POS and of course the always-awesome ChampionsWay websites. By far the most important PerfectMind feature for us has been it's student-tracking capability. CW: How has PerfectMind helped MP USA work more efficiently or serve students more effectively? NZ: Oh there's no way we could manage without PerfectMind. If I need to get a message out to all of my students, it's as simple as composing the body of the email, selecting the students, scheduling it (if in the future) and hitting "Send." PM helps me track my students' attendance so we always know when they've attended, when their next stripe is due to be awarded, what purchases they've made, if they're current on their tuition, etc. I love how the PM software and our CWAY website are integrated so that, when someone registers on our website, we're alerted via email and within the PM tasks list, and our Enrollment Director can contact them ASAP while their interest is still high. We've been proud clients of Champions Way since 2002 – before PerfectMind was even conceived. We've used almost every type of software offered and PerfectMind just keeps getting better and better, with every update. The customer service is among the best I've experienced with any company ever. Definitely top-notch. 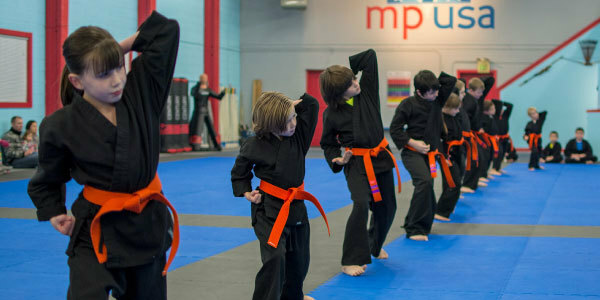 Want to learn more about how ChampionsWay can empower and grow your martial arts school? Get started with a free demo of the only true all-in-one software solution for martial arts schools.